Can't decide which watersport to try? Or maybe you think they all look awesome? 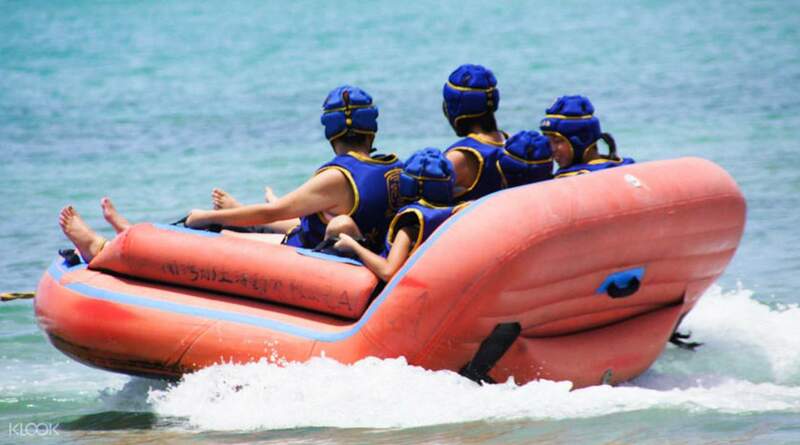 Leave the sunbathing aside and shake up your holiday with these seven exhilarating watersports! 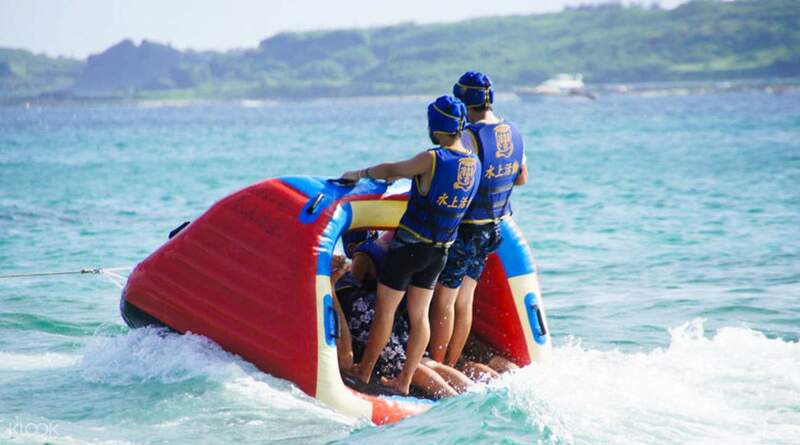 Bump along on a banana boat, hold on tight to the donut ring, try to stay standing on one inflatable and try to stay lying down on another. You can even try jet skiing too. This flexible package means you can trial just two or even give all eight activities a go! We had an awesome time with guide no. 69 (刘大哥-Liu Da Ge). 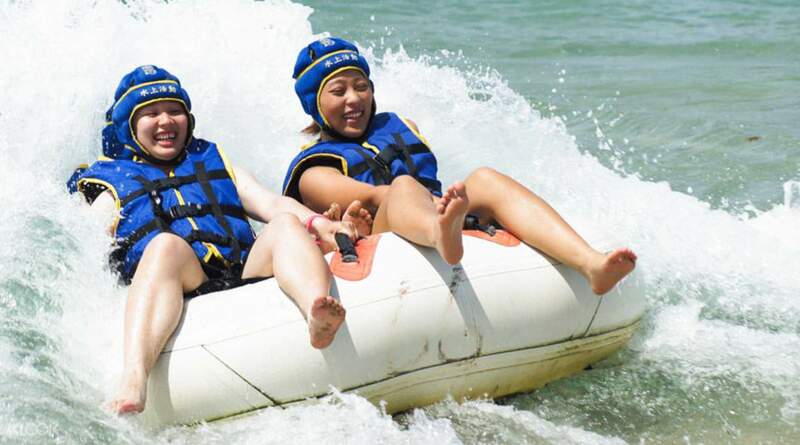 We started at 1:30pm and chose 4 water sports, after having such a great time we regretted not choosing all ! The stall is a little shack, i have labelled the location in the picture. Have fun ! We had an awesome time with guide no. 69 (刘大哥-Liu Da Ge). We started at 1:30pm and chose 4 water sports, after having such a great time we regretted not choosing all ! The stall is a little shack, i have labelled the location in the picture. Have fun ! the adventure was so amazing and really worth the price. I got one watersport more as a bonus 😋 eventhough the snorkeling was not so good (because the location was not so strategic, so many sands, I hardly saw the underwater scenery). overall, using Klook is quite beneficial and the redeem process was soooo easyyyy! the adventure was so amazing and really worth the price. I got one watersport more as a bonus 😋 eventhough the snorkeling was not so good (because the location was not so strategic, so many sands, I hardly saw the underwater scenery). overall, using Klook is quite beneficial and the redeem process was soooo easyyyy! Hassle free redemption at one of the blue tent, just ask the friendly operators if the online booking can be redeemed there. I was advised by dr to avoid strenuous activities just before heading to Kenting hence initially I was expecting to only be able to snorkel. However, they took care of me and went at a slightly slower pace enabling me to try most of the activities. 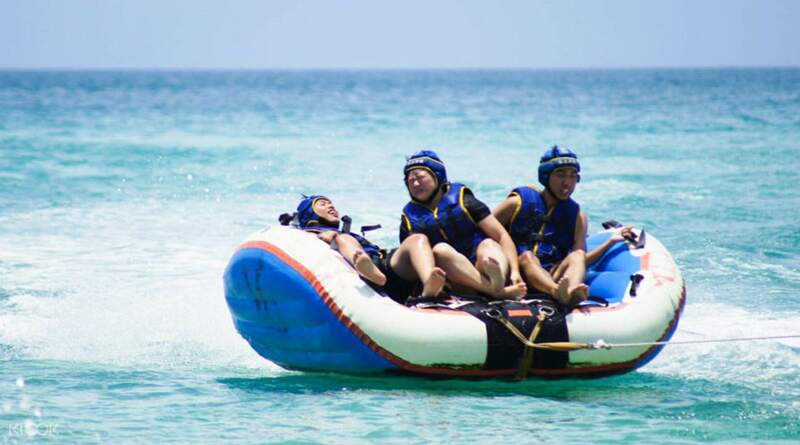 It was great fun and I recommend all to try the water activites at Kenting! Hassle free redemption at one of the blue tent, just ask the friendly operators if the online booking can be redeemed there. I was advised by dr to avoid strenuous activities just before heading to Kenting hence initially I was expecting to only be able to snorkel. However, they took care of me and went at a slightly slower pace enabling me to try most of the activities. 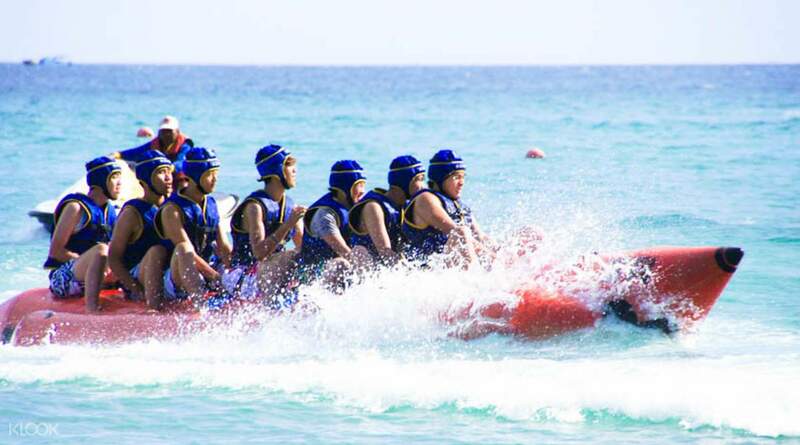 It was great fun and I recommend all to try the water activites at Kenting! This is the area of Taiwan, being in the southernmost tip it is warm throughout the year, where you can swim everyday. The beaches are beautiful and the rocky hillside are also provides a wonderful panoramic view of the shores below. This is the area of Taiwan, being in the southernmost tip it is warm throughout the year, where you can swim everyday. The beaches are beautiful and the rocky hillside are also provides a wonderful panoramic view of the shores below. Very exciting! Quite tired after playing. 6activities are enough for us. Today's weather is bad otherwise it would be nicer. The driver of water motor is in hurry but still nice. Very exciting! Quite tired after playing. 6activities are enough for us. Today's weather is bad otherwise it would be nicer. The driver of water motor is in hurry but still nice.